Langley – Stacey Wakelin is running for Council in the Township of Langley. Her pro-SOGI stance has a twist. She told FVN: Because of my history of supporting SOGI I have been asked consistently why not school board. I see SOGI as a civil rights issue first and foremost. As a Councillor I believe inclusion should be a priority. As a fast growing community, our population will become more diverse and we need to represent ALL. From her media release: Stacey, with her husband Scott, and children Evan and Taylor, has lived and worked in the Langley area for almost 13 years. 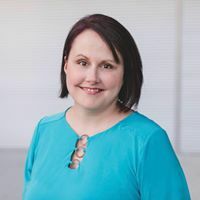 She is the former co-owner of Langley’s well-loved Clipper Street Scrapbook Co.; Founder and former Spokesperson for BC Parents for Inclusivity; and Organizer of community events designed to provide opportunities for neighbours to connect. Stacey is action-oriented, and her efforts with refugees, with people experiencing homelessness, and with LGBTQ2S+ youth over the last few years have made her a familiar face in Langley news. One of Stacey’s goals is to speak with as many neighbours, as possible, in the Township. If you would like to share your vision for the future of the Township of Langley, your concerns or have other campaign related questions, please get in touch. Be the first to comment on "Stacey Wakelin- Candidate, Township of Langley Council – SOGI Is A Civil Rights Issue"